I am so excited for this going down on Thursday, March 7. If you are a Utah county based blogger, we've got two spots left. 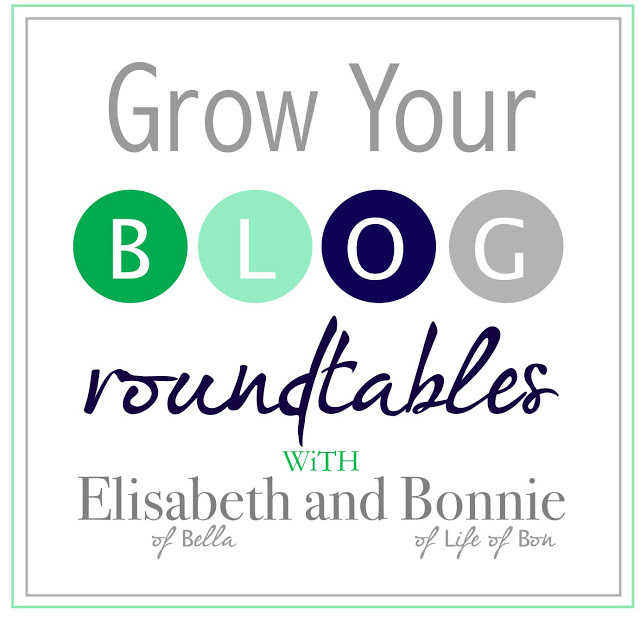 Email me at thelifeofbon@gmail.com if you are interested in joining up for a lot of blog strategy talk. It's going to be wild! Click here for all the deets. And for the rest of your weekend? Enjoy some jewelry, my sweets. P.S. After yesterday's blog post about blogging about blogging (say wha?!?) and reading your comments, I have been doing lots of thinking about sponsorships and giveaways and the whole shebang. So far I have reached nothing conclusive. I am aware I have been doing TONS of giveaways these past couple of weeks and that will slow down. Something inside me popped. A vein or something. A vein full of giveaways and I couldn't help myself. I'll regain control, I promise. In the meantime, $400 to Tiffanys ain't a bad way to spend a weekend, right? 27 Amazing Bloggers 1 Winner: $400 Tiffany & Co Gift Card 1 Mandatory Entry + lots of bonus entries There is just one mandatory entry and that is to leave a comment below telling me "what would you buy at Tiffany's with the gift card". The rest are bonus entries and totally up to you! Oh my goodness! You have the best giveaways! I would wear a necklace the most. I love their infinity pendant! I would buy a infinity pendant! 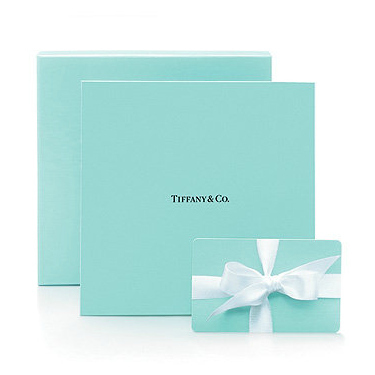 These: http://m.tiffany.com/Mobile/Shopping/Item.aspx?fromGrid=1&sku=27906141&mcat=148204&cid=578594&search_params=s+5-p+13-c+578594-r+-x+-n+6-ri+-ni+0-t+ they're beautiful, and I'd never buy them for myself otherwise. Such is the life of a teacher. I would put the $400 toward the traditional Tiffany necklace or some earrings. OOOh, the possibilities!!! Probably a right hand ring! I would buy a traditional necklace!! i'd buy a bracelet at tiffany! I love the Elsa By the Yard necklace! Soo pretty! I would get the scripted "K" necklace! I would get the return to tiffany ring to finish my collection! I have been after the black onyx earrings forever! Oh there is SO much I would want to buy with this gift card!! I would get the A monogram necklace! :) And maybe some earrings! oh my freaking goodness. I diiiee for Tiffany's!!! I would buy the Tiffany heart tag stud earrings.. omg. I would buy everything that I could with $400. Preferably earrings! I would buy the key pendant or diamond studs. Thanks! I would most definitely purchase the Tiffany Somerset domed ring, or two of them for 400 big ones! What a great giveaway. I would love a ring! uh really - you want me to pick one thing after I've been browsing for 30 minutes?? - how about anything would make me happy - preferably a ring or earrings - I'm not picky! I would be so overwhelmed because I've never shopped at Tiffany's, but I think I'd get a ring or a necklace! I think I would buy a new necklace. Or a bangle. I would by buy the bracelet with the monogramemd heart to put my little one's initials on! I would buy a locket or some sweet earrings. Too bad I am not in Utah! see, this is something I'd be willing to enter for. becaaaaauuuuse, everytime I'm in City Creek I go to Tiffany's and drool over this little silver ring that is about $380 bucks. I want it SO bad. You have been doing a ton of giveaways lately but this is probably the best I've ever seen! I would get either an initial pendant or possibly an Elsa Peretti Diamonds by the Yard necklace. Well, this is certainly one heck of a giveaway! :) Hmm... I'm not sure what I would get... it's a toss up between one of the key necklaces or an infinity ring! I want the heart necklace PUH-LEASE!! I'm in love with their key necklaces! And engagement rings but that's up to the bf! I don't own anything from Tiffany's and would absolutely love to more than any other high end brand! Thank you! Tiffany (1837) baby comb in sterling silver with a pink tassel. :) For my expecting goddaughter. Any money I earn from this will go to her, because she's such a little princess! Thank you so much for the opportunity of this giveaway! God bless! I would love, love, love to have the key necklace! I would put the gift card to use for a new birthstone ring. I've always wanted one of those key necklaces from there! That's definitely what I'd buy. I'd love simple diamond studded earrings! Oooh! I'd replace a Tiffany's chain that I had that broke. Perfect! I would buy a nice mother's day gift for my mama... she deserves it! congratulation to me,i have great thing to tell the world about a great man name dr ogogodu for what he did for me,this great man help me to get back my lover with 24hours with out know delay this man help me to get back frank who left me just because he find another lady but thanks to this great man who interval in the matter,when i contacted this great man he told me that i should not worry that i am going to get him back,at first i did not believe because my friend told that so people are scam they just want to take your money,i now said that i should give a try that so people are real so i now did what he ask me to do,to my greatest surprise my lover call me and told me that he love me that he is so sorry for what he did to me so now i am so happy with him he now love me more than before so my friend out there i want you to know this great man can help me you to get back your lover without know delay thanks to this great man dr ogogodu so if you need is help contact him on email ogogodutempleofsolution@gmail.com or call him with this cell number +2348078999655 so my name is Natasha Donald i live in UNITED KINGDOM,but if you want to talk to me about this great man you can call me so that we can talk,this is my private cell number +447031973121 call me with it,thanks to everyone that is happy for me. After being in relationship with my husband for nine years,he broke up with me, I did everything possible to bring him back but all was in vain, I wanted him back so much because of the love I have for him, I begged him with everything, I made promises but he refused. I explained my problem to someone online and she suggested that I should rather contact a spell caster that could help me cast a spell to bring him back but I am the type that never believed in spell, I had no choice than to try it, I mailed the spell caster, and he told me there was no problem that everything will be okay before three days, that my ex will return to me before three days, he cast the spell and surprisingly in the second day, it was around 4pm. My ex called me, I was so surprised, I answered the call and all he said was that he was so sorry for everything that happened, that he wanted me to return to him, that he loves me so much. I was so happy and went to him, that was how we started living together happily again. Since then, I have made promise that anybody I know that have a relationship problem, I would be of help to such person by referring him or her to the only real and powerful spell caster who helped me with my own problem and who is different from all the fake ones out there. Anybody could need the help of the spell caster, his email is (ukospelltemple@yahoo.com } tel.+2348115200304) you can email him if you need his assistance in your relationship or anything. Hello every one, I really want to share my testimony to the hearing of the general public on this site about how DR EHI helped me, December 2013, I saw a post on a particular site shearing testimony on how the great spell caster brought back her ex who name is Jerry so I just see it common and i said let me see what will happen because my husband left me and my three kids for another woman just like that, i and my husband was married for six years living happily before i new what was going on, he left me and go for another woman so when i saw the post, i contacted the spell caster on his email and he told me i should not worry that my husband will come back to me in three days after once he finish casting the reunite spell and to my greatest surprise, i now have my husband back to me again and i want to use this medium to let every body know that this is real and if you are out there having this same problem please contact the great spell caster on his email now because he can do the unexpected. his email is ehispellcentre@gmail.com or email him directly on his web site http://ehispellcentre.webs.com . I WISH YOU THE BEST OF LUCK. WHAT WOULD YOU DO? ROUND 2! Announcement: I am taking up a new lover. Home! Let me go home! Grow that blog! Round dos! TWO TRUTHS ONE LIE. WHICH ONE IS IT?!? Blog tips. You ask. I give. March, how I love thee. Let me count the ways. Let the Evening be in charge for once!